Relive the Denver Broncos’ magical 2011 season from the inside. Loren Landow served as the team's unofficial trainer during the pre-season lockout and Mike Klis covers the Broncos for the Denver Post. Together, they tell the story from their unique perspectives, beginning with Landow's spring email to safety Brian Dawkins suggesting they work together to build a championship team while nobody was watching. 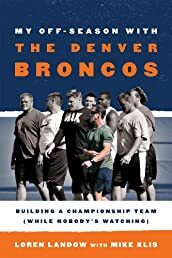 From the early workouts where the team looked disorganized, to the media circus surrounding Tim Tebow, this story tells how Landow brought a disparate group of players together to form the 2011 Denver Broncos, the team everyone had written off from the start—who went on to win the AFC West. Illustrated sidebars include training tips for minimizing injury and motivational strategies that can be applied to any sport. Bushville Wins! : The Wild Saga of the 1957 Milwaukee Braves and the Screwballs, Sluggers, and Beer Swi..